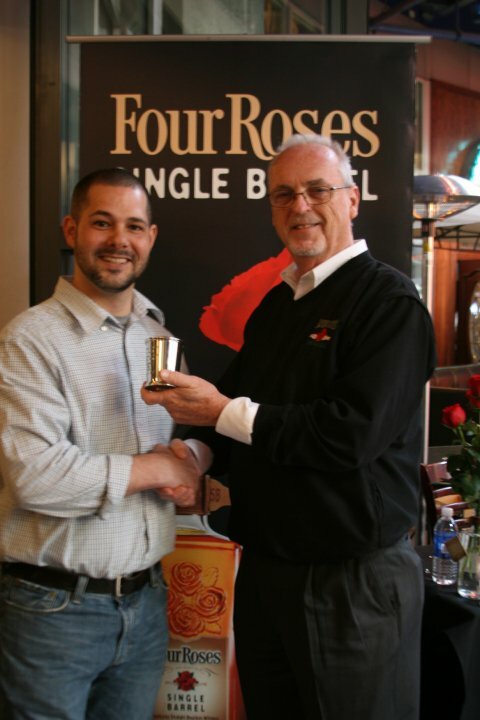 BourbonBlog.com‘s Tom Fischer was a judge in the recent Four Roses Julep Contest which is held annually in weeks prior to the Kentucky Derby. Varanese’s Rory McCollister won 1st with his Cherry Blossom Julep (recipe below and photo above), making it Rory’s second year in a row to win and the third time Varanese has taken top prize. 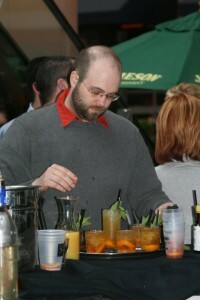 Aaron Price of Maker’s Mark Lounge won 2nd place and Proof on Main’s Jenni Pittman won 3rd place. If you are a fan of Kentucky Mint Juleps during the Kentucky Derby, you will love these recipes and creations. Place an orange slice in the bottom of a rocks glass and add 1 dash of Angostura Bitters. 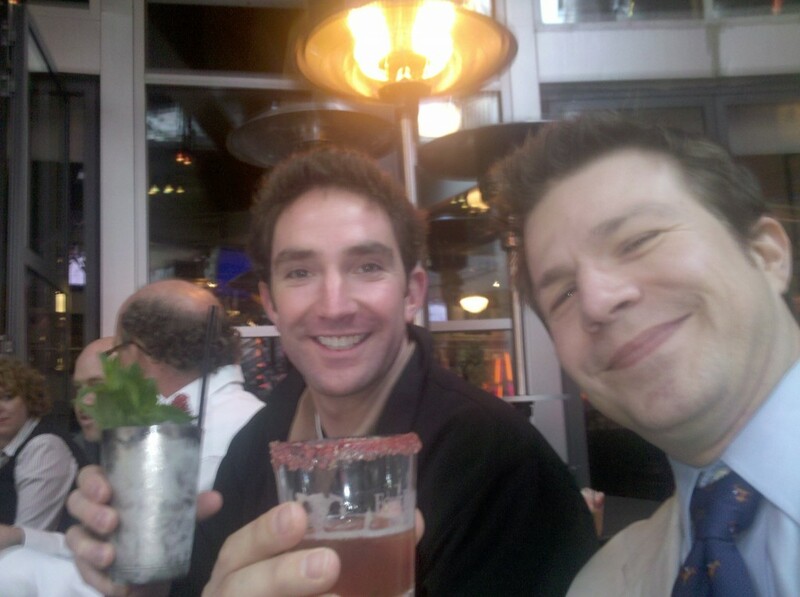 Muddle. Fill glass with ice. 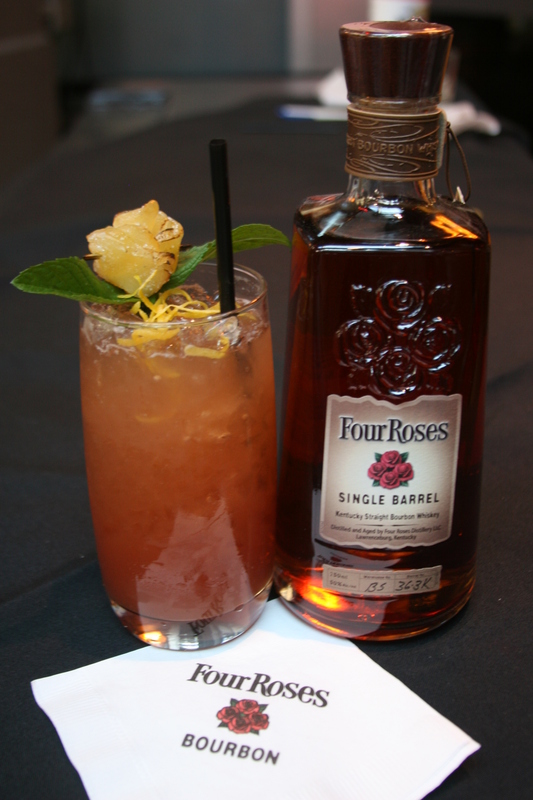 Add 1 1/2 oz Four Roses Small Batch and 3/4 oz Amaretto Disaronno. Splash with Simple Syrup and Orange Juice. 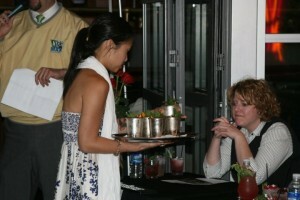 Take a sprig of mint, crush stem, and immediately place into cocktail with leaves hanging over the side. Lightly stir. Gently muddle several mint leaves, add eucalyptus syrup, add mango puree, stir with spoon, add 2 oz Four Roses small batch, crushed ice, garnish with generous slice of mango and bouquet of mint leaves.